Sara Nović writes about war and displacement with remarkable deftness in her debut novel GIRL AT WAR. It is powerful, poignant and confronting; a premature coming-of-age story about a young woman’s desperate attempt to find solace – to conciliate the demons of her childhood in Zagreb, and determine to what extent her past is shaped by decades-old injustices. When the Bosnian-Croat conflict ignited, Ana Jurić is just ten years old. A tomboyish adventurer, placated by football rather than playing dress-ups, until the crisis she lived a comfortable life: a mother and father who loved her; a younger (sickly) sister she adored; a loyal best friend, Luka. When the first shots are fired, it takes a while for Ana to comprehend their meaning. Being so young, she is untainted by the world’s evils, and has the instinctive ability to compartmentalise; she adapts to her new reality, of sporadic blackouts, depleting water supply, and the intermittent blast of the air raid siren, because what other choice does a ten year old have? For a time, it’s almost as though Zagreb is on the fringes of the violent skirmishes punctuating other parts of the country; touched by the ripples of a tidal wave rather than crushed by its full force. But of course, that doesn’t last; and Ana is one of many who learn the true cost of war, on the day they leave her young sister in the care of medical professionals, who plan on sending her to America for the aid she needs. This scene in particular – Ana, her mother and father, on their knees, three links in a long chain of people being nonchalantly executed – is one of the most harrowing I’ve read in recent years, right up there with passages from Roxane Gay’s An Untamed State. Years later, Ana is studying literature in America, and still struggling with the repercussions of those events. She appreciates the opportunities her American foster parents – and the nation itself – have provided her, but she still doesn’t feel at home. An abrupt decision to return to Zagreb – to confront her demons – only leads to more confusion; Zagreb has lost its lustre. Ana has seen too much; bared witness to humanity’s worst. How can she possibly move on, and live a life freed from her past’s tendrils? 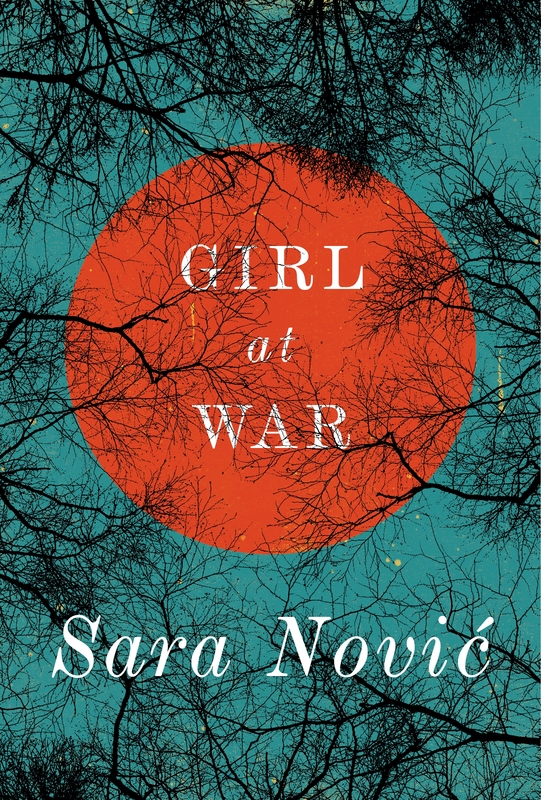 Assured, elegant and gripping, Sara Nović’s GIRL AT WAR is an affecting story that exposes the personal fallout of the Bosnian-Croat conflict. It ranks up there with the year’s best.